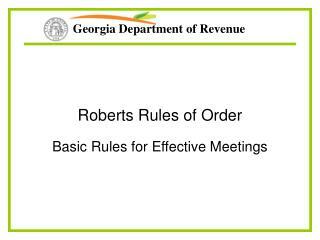 Revenues – Deductions – NOL & Dividends Received Deduction. 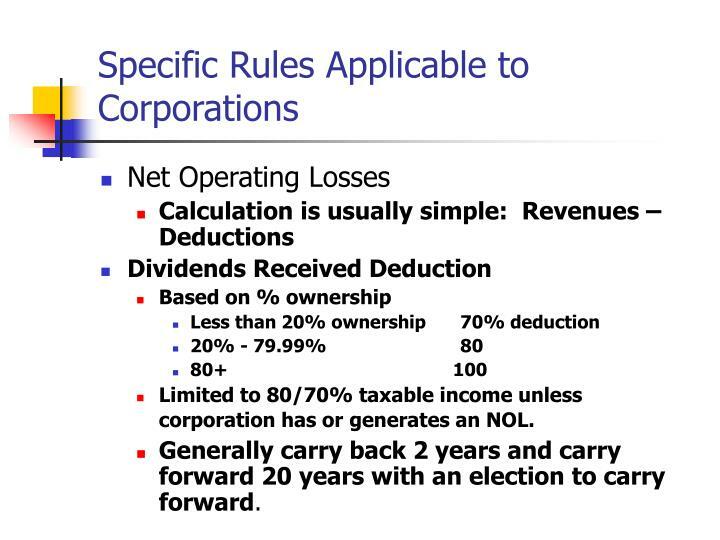 Limited to 80/70% taxable income unless corporation has orgenerates an NOL. Generally carry back 2 years and carry forward 20 years with an election to carry forward. Carry-forward unused amounts for 5 years. 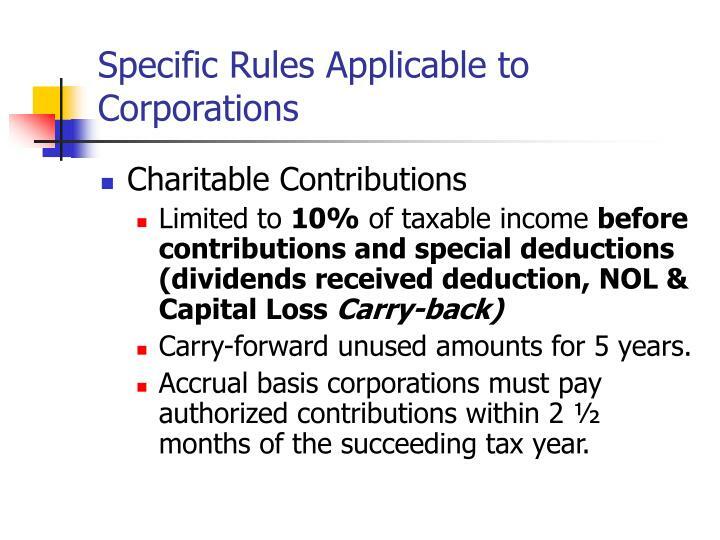 Accrual basis corporations must pay authorized contributions within 2 ½ months of the succeeding tax year. 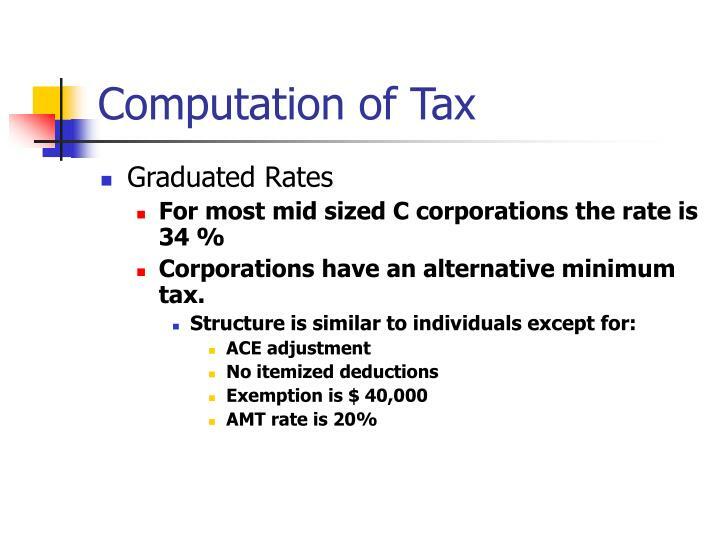 Corporations have an alternative minimum tax. Rate coincides with the highest individual rate. 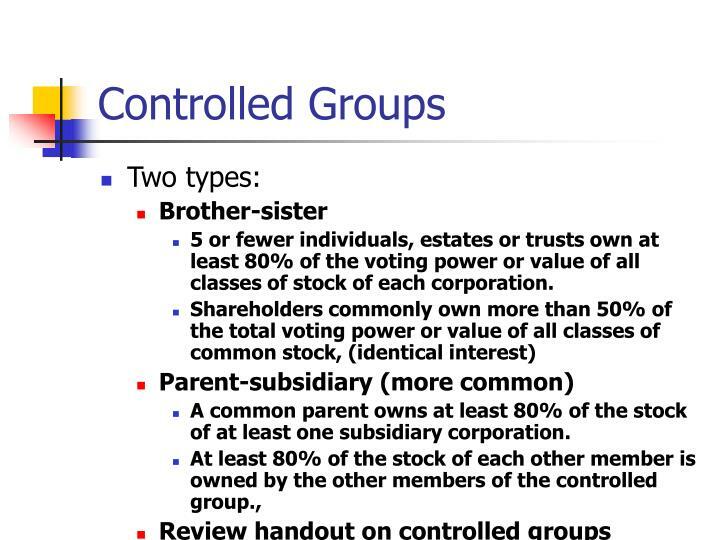 5 or fewer individuals, estates or trusts own at least 80% of the voting power or value of all classes of stock of each corporation. 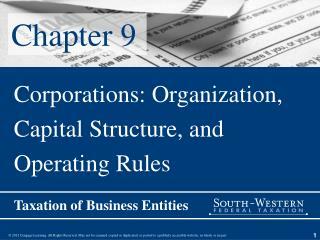 A common parent owns at least 80% of the stock of at least one subsidiary corporation. 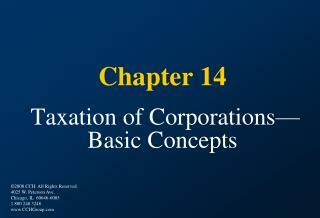 The common parent corporation is a member of a group of corporations that constitute a brother-sister group. 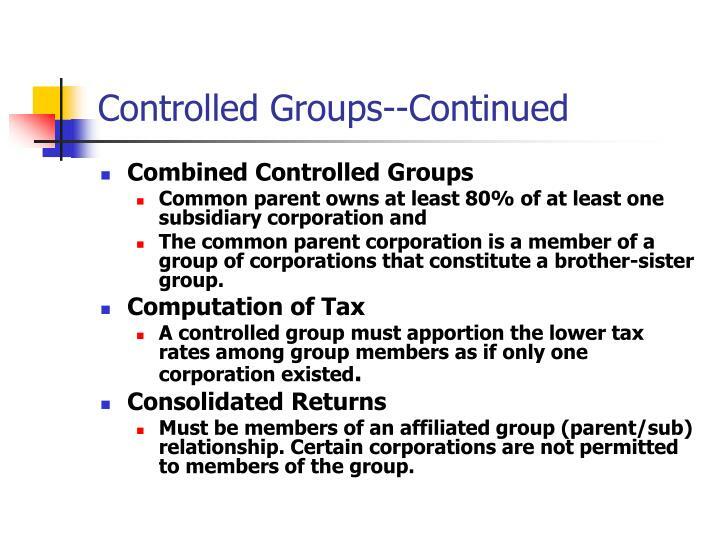 A controlled group must apportion the lower tax rates among group members as if only one corporation existed. Must be members of an affiliated group (parent/sub) relationship. 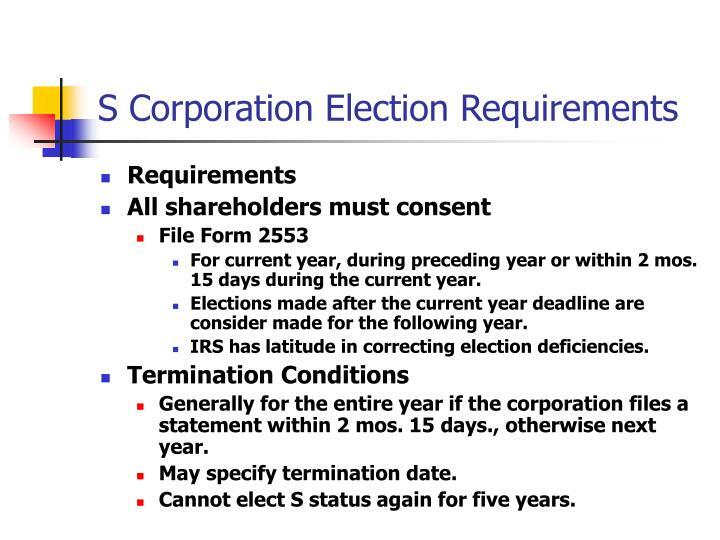 Certain corporations are not permitted to members of the group. 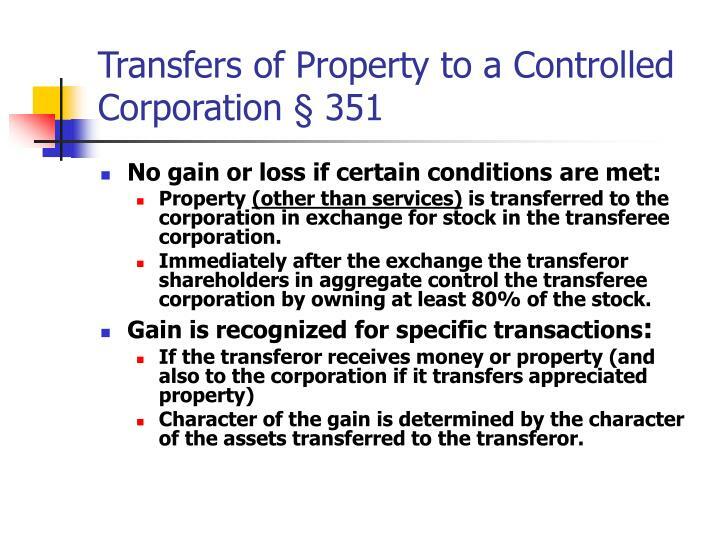 Property (other than services) is transferred to the corporation in exchange for stock in the transferee corporation. Immediately after the exchange the transferor shareholders in aggregate control the transferee corporation by owning at least 80% of the stock. Character of the gain is determined by the character of the assets transferred to the transferor. 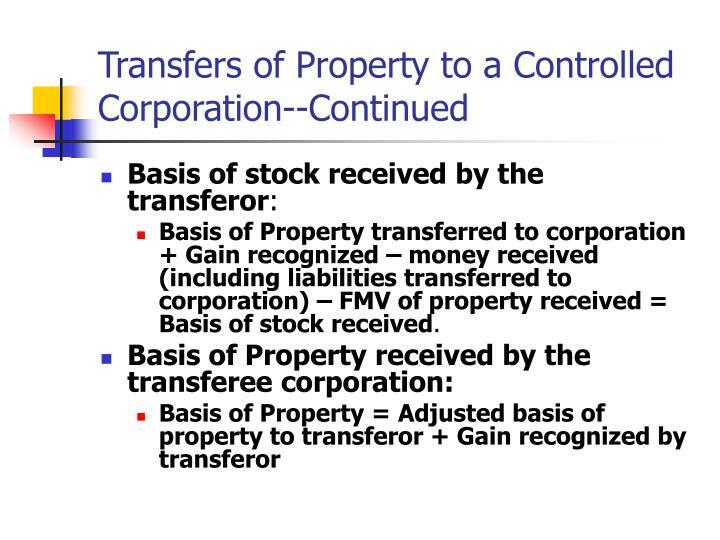 Basis of Property transferred to corporation + Gain recognized – money received (including liabilities transferred to corporation) – FMV of property received = Basis of stock received. 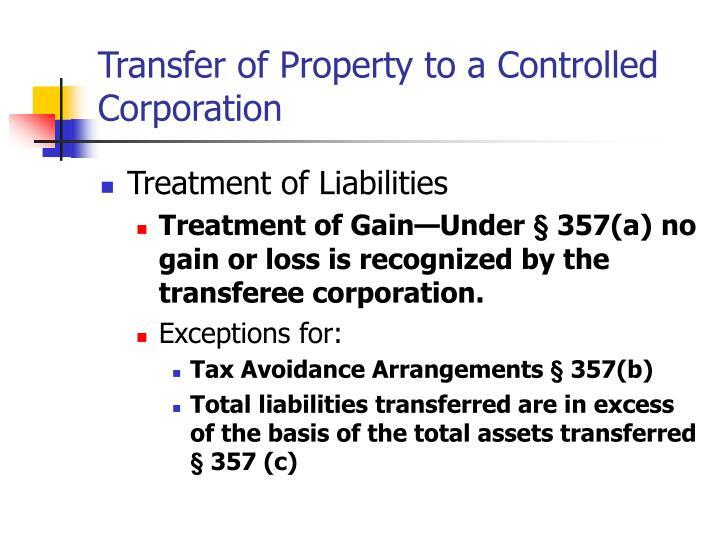 Treatment of Gain—Under § 357(a) no gain or loss is recognized by the transferee corporation. 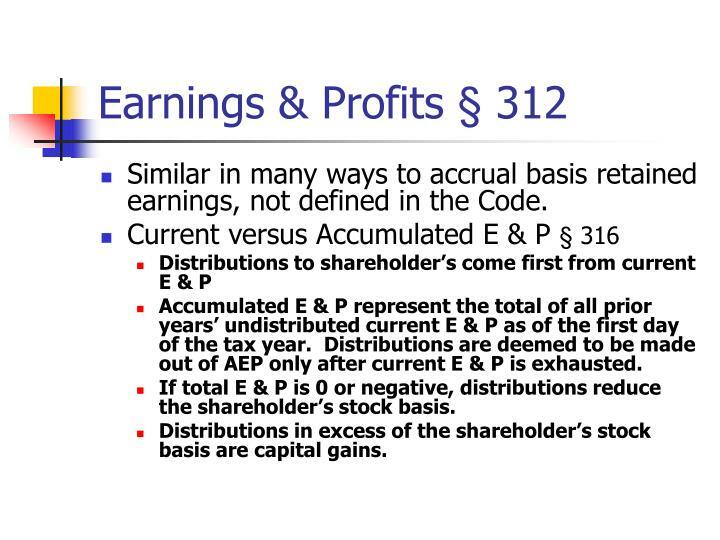 Similar in many ways to accrual basis retained earnings, not defined in the Code. 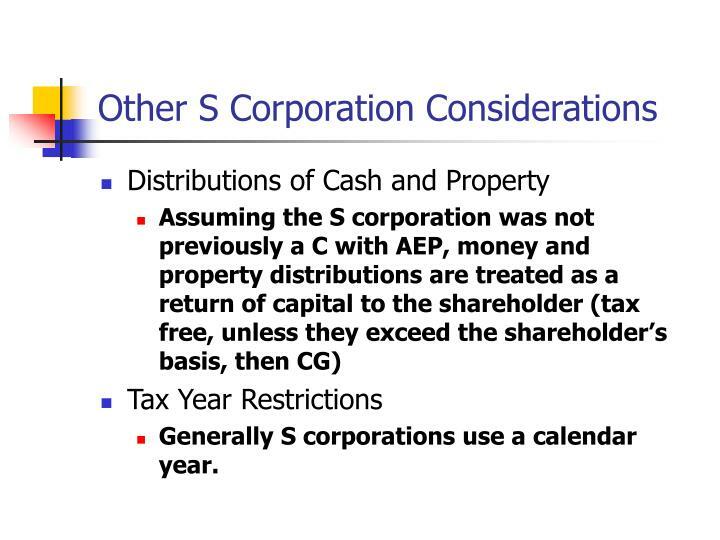 Accumulated E & P represent the total of all prior years’ undistributed current E & P as of the first day of the tax year. 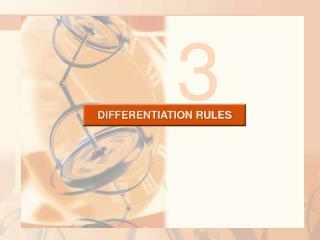 Distributions are deemed to be made out of AEP only after current E & P is exhausted. 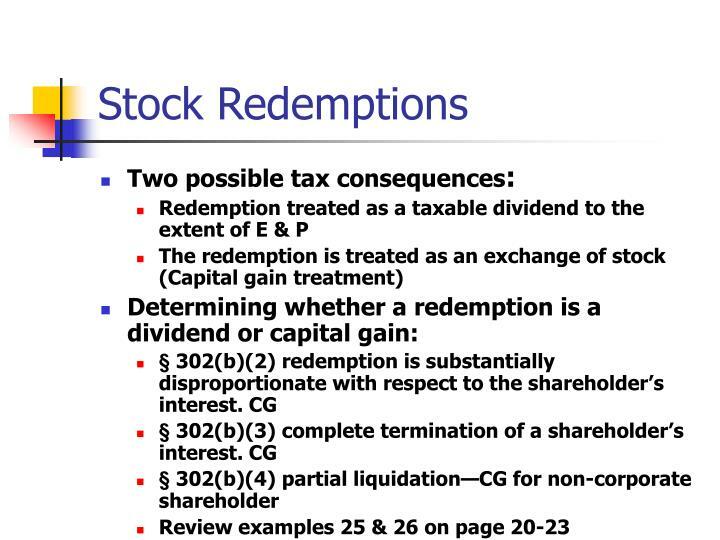 If total E & P is 0 or negative, distributions reduce the shareholder’s stock basis. 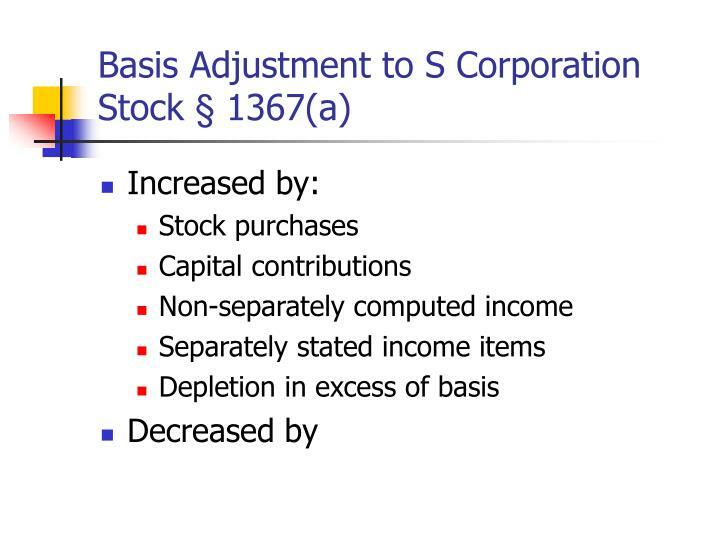 Distributions in excess of the shareholder’s stock basis are capital gains. 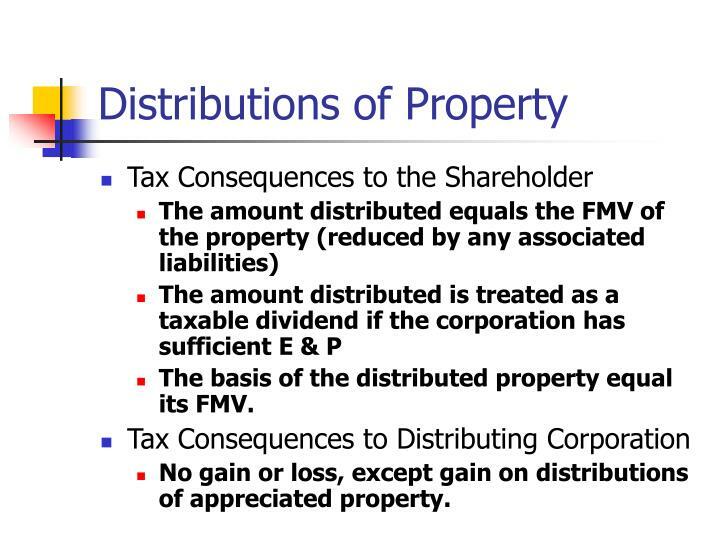 The basis of the distributed property equal its FMV. No gain or loss, except gain on distributions of appreciated property. 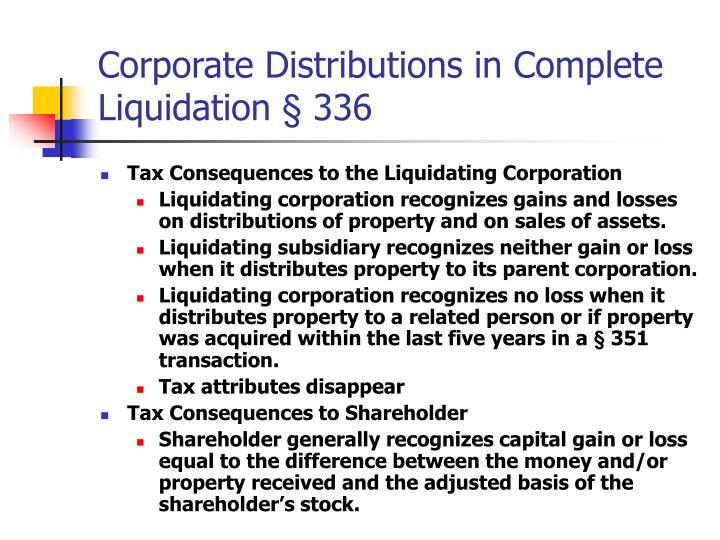 Liquidating corporation recognizes gains and losses on distributions of property and on sales of assets. 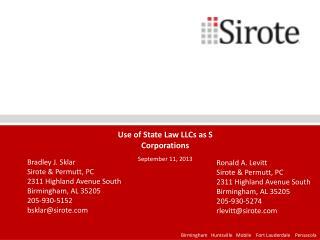 Liquidating subsidiary recognizes neither gain or loss when it distributes property to its parent corporation. 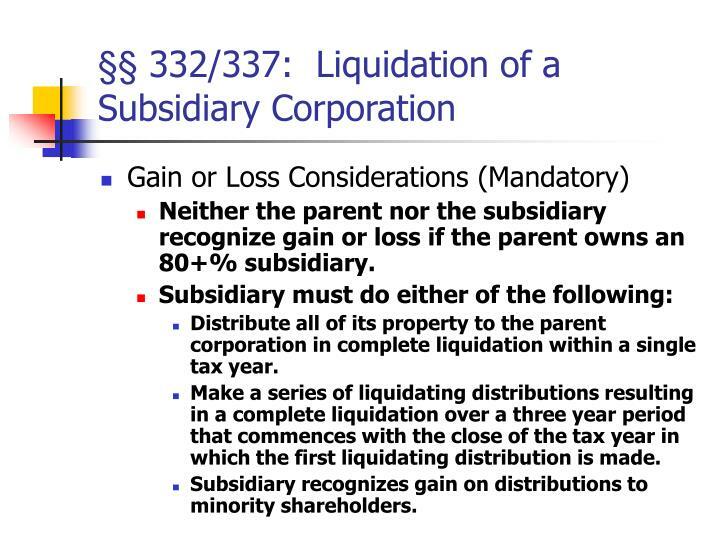 Liquidating corporation recognizes no loss when it distributes property to a related person or if property was acquired within the last five years in a § 351 transaction. 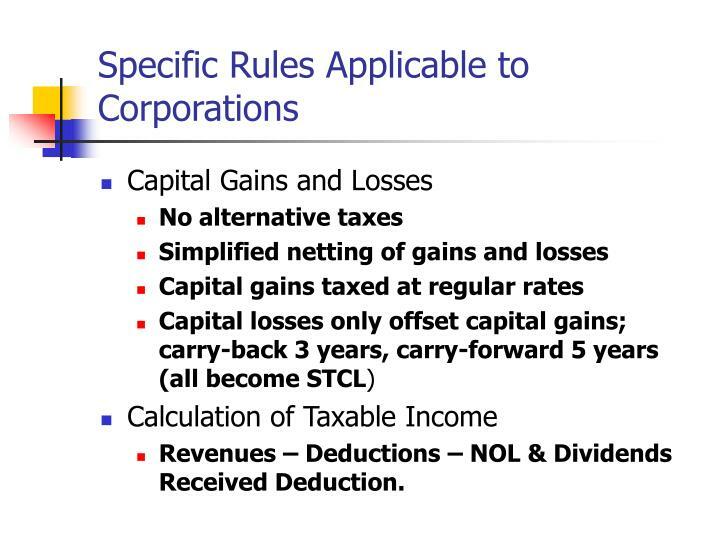 Shareholder generally recognizes capital gain or loss equal to the difference between the money and/or property received and the adjusted basis of the shareholder’s stock. 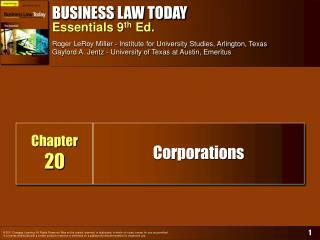 Neither the parent nor the subsidiary recognize gain or loss if the parent owns an 80+% subsidiary. Distribute all of its property to the parent corporation in complete liquidation within a single tax year. Make a series of liquidating distributions resulting in a complete liquidation over a three year period that commences with the close of the tax year in which the first liquidating distribution is made. Subsidiary recognizes gain on distributions to minority shareholders. 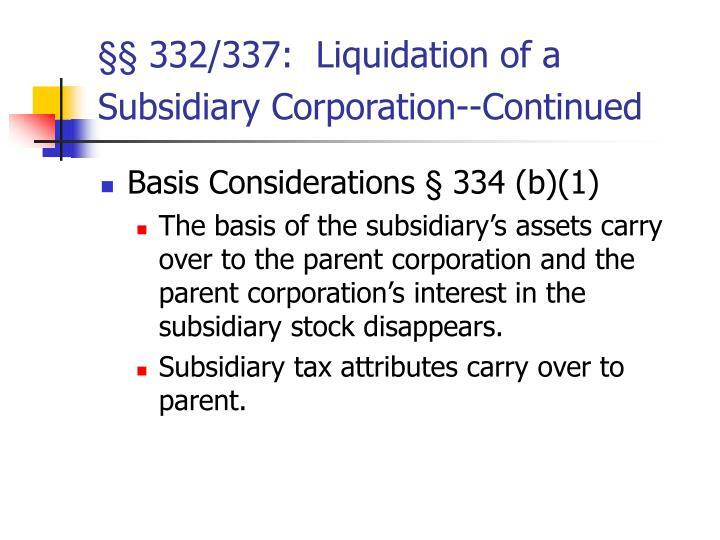 The basis of the subsidiary’s assets carry over to the parent corporation and the parent corporation’s interest in the subsidiary stock disappears. 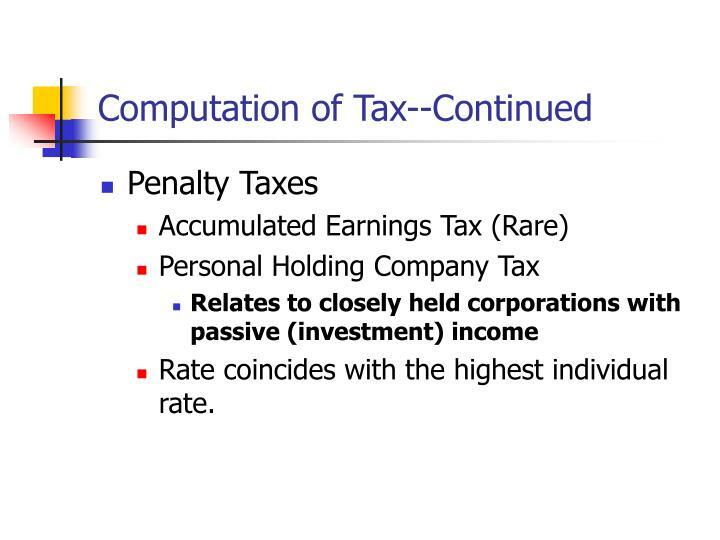 Subsidiary tax attributes carry over to parent. 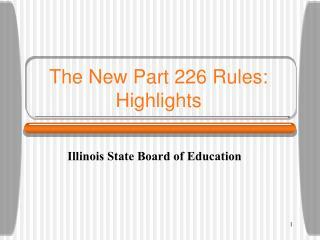 Review Example 14 on Page 20-15. Must issue only one class of stock. 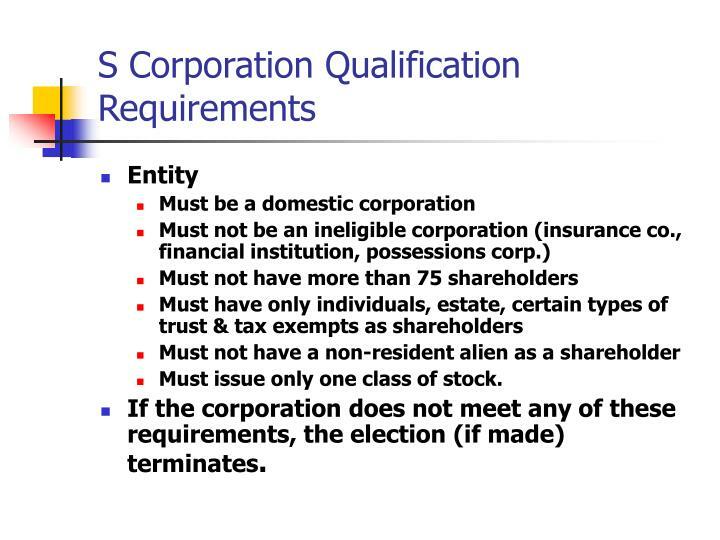 If the corporation does not meet any of these requirements, the election (if made) terminates. For current year, during preceding year or within 2 mos. 15 days during the current year. Elections made after the current year deadline are consider made for the following year. IRS has latitude in correcting election deficiencies. Generally for the entire year if the corporation files a statement within 2 mos. 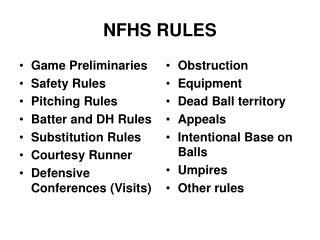 15 days., otherwise next year. Cannot elect S status again for five years. 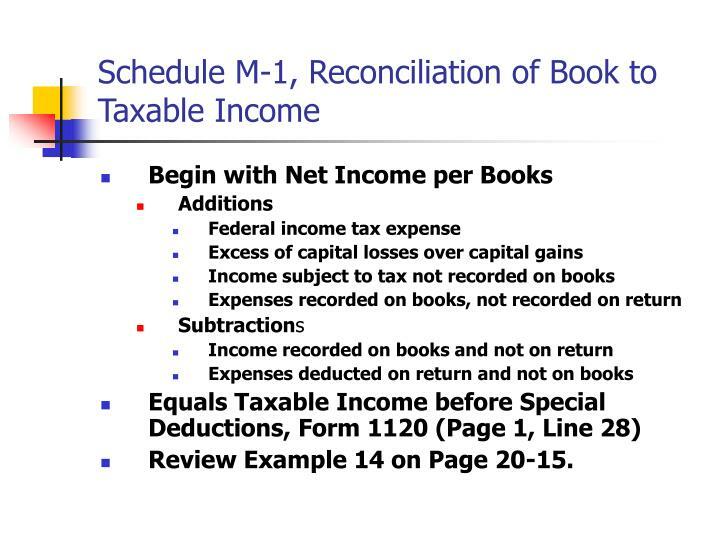 Ordinary Income (page 1, Form 1120S & Schedule K). The residual amount. However, the allocations are based on shares owned on each day of the year. 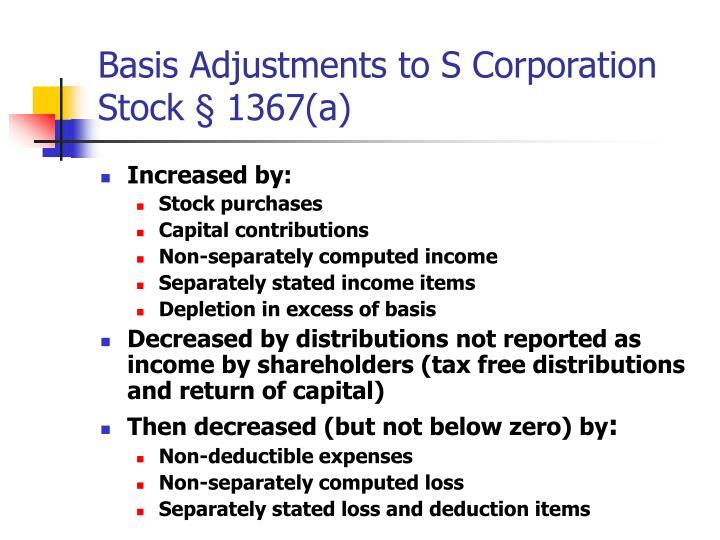 Once the stock basis is zero, any additional basis reductions from losses or deductions but not distributions decrease (but not below zero) the shareholder’s basis in loans made to the S corporation. 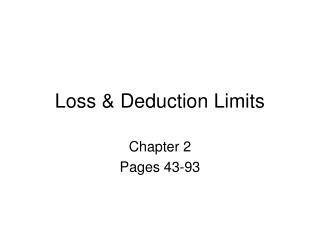 Any excess of losses or deductions is suspended until there is subsequent basis. 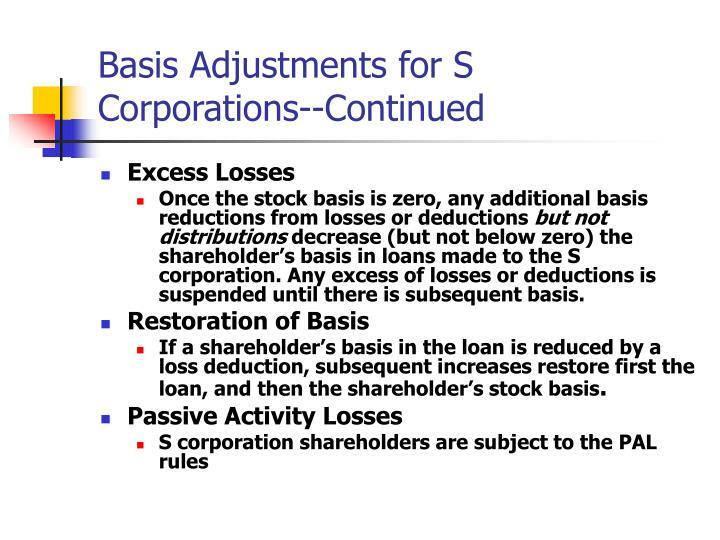 If a shareholder’s basis in the loan is reduced by a loss deduction, subsequent increases restore first the loan, and then the shareholder’s stock basis. 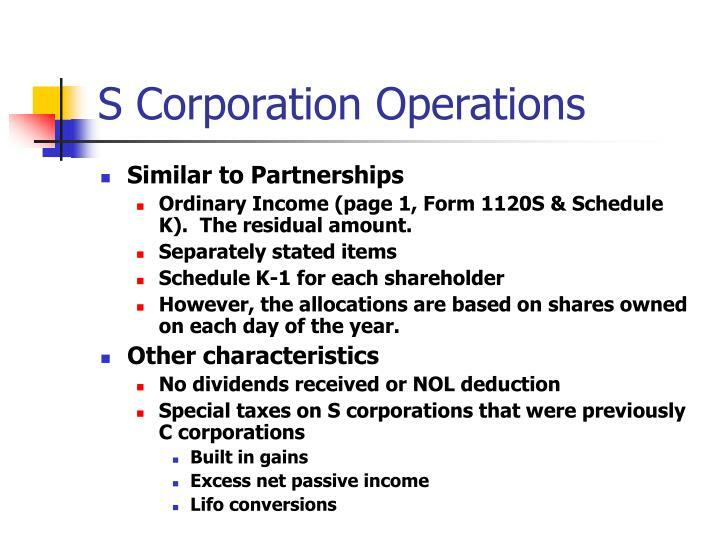 Generally S corporations use a calendar year. 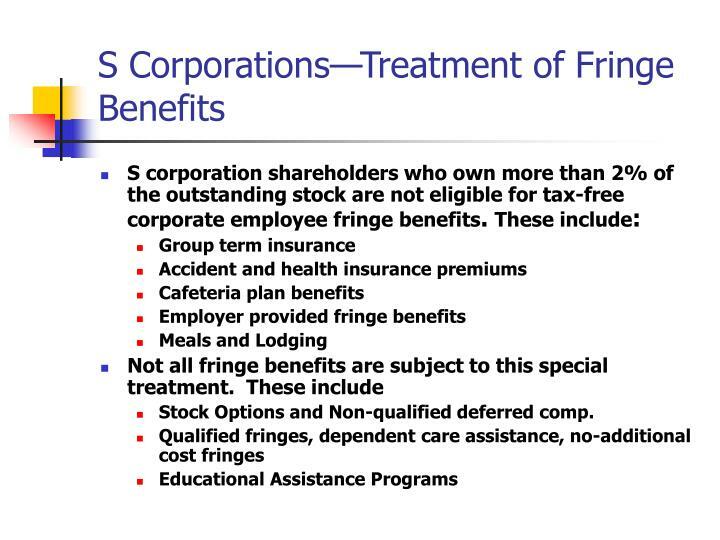 Stock Options and Non-qualified deferred comp. 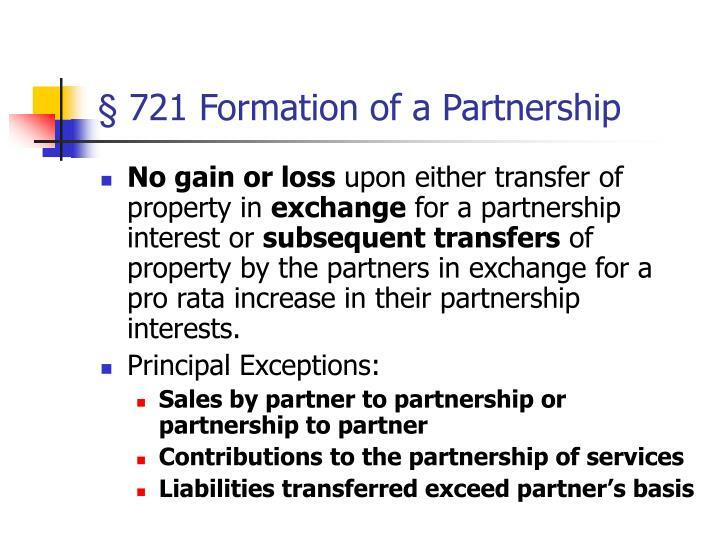 No gain or loss upon either transfer of property in exchange for a partnership interest or subsequent transfers of property by the partners in exchange for a pro rata increase in their partnership interests. 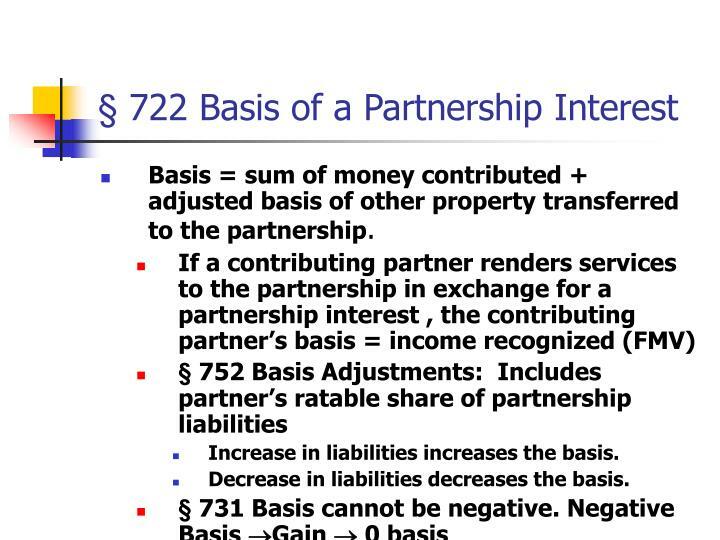 Basis = sum of money contributed + adjusted basis of other property transferred to the partnership. Increase in liabilities increases the basis. 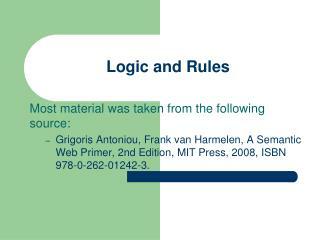 Decrease in liabilities decreases the basis. 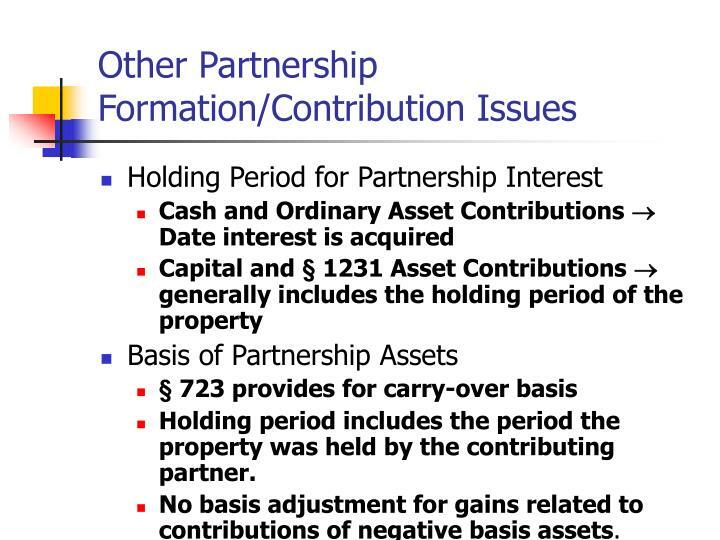 Holding period includes the period the property was held by the contributing partner. No basis adjustment for gains related to contributions of negative basis assets. 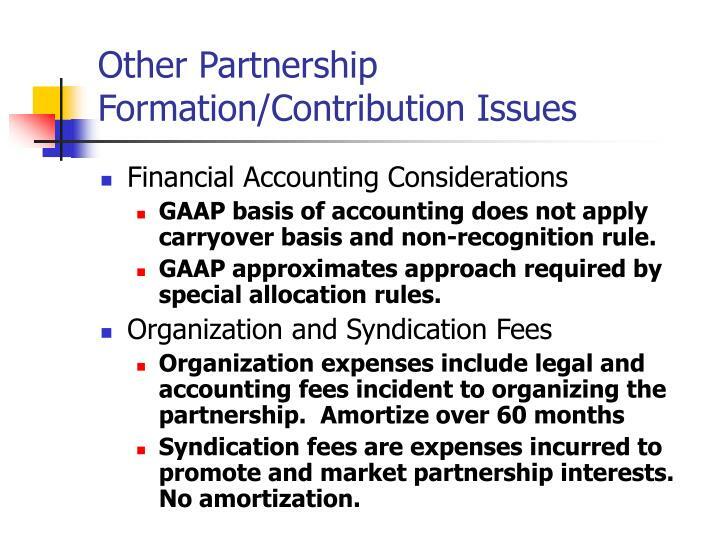 GAAP basis of accounting does not apply carryover basis and non-recognition rule. GAAP approximates approach required by special allocation rules. Syndication fees are expenses incurred to promote and market partnership interests. No amortization. 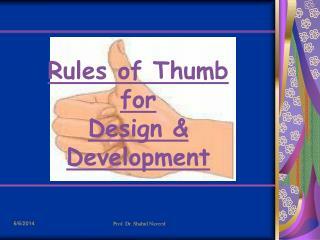 Rental income, capital gains/losses, § 1231 gains/losses, contributions, § 179 deduction, tax exempt interest. 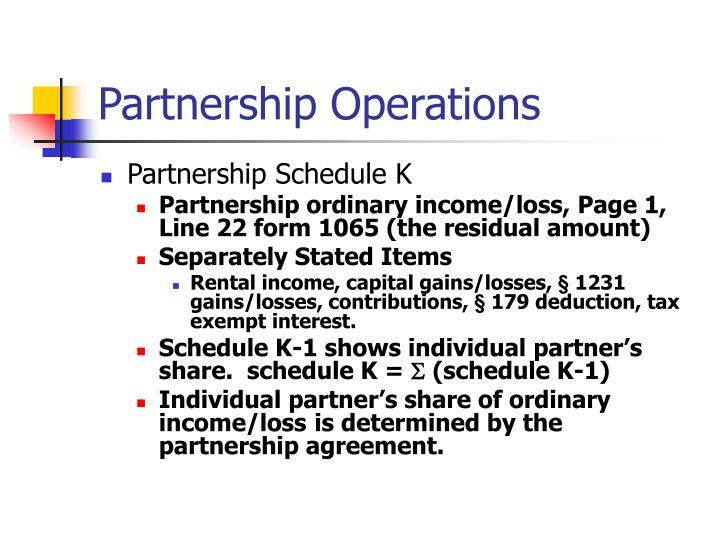 Individual partner’s share of ordinary income/lossis determined by the partnership agreement. 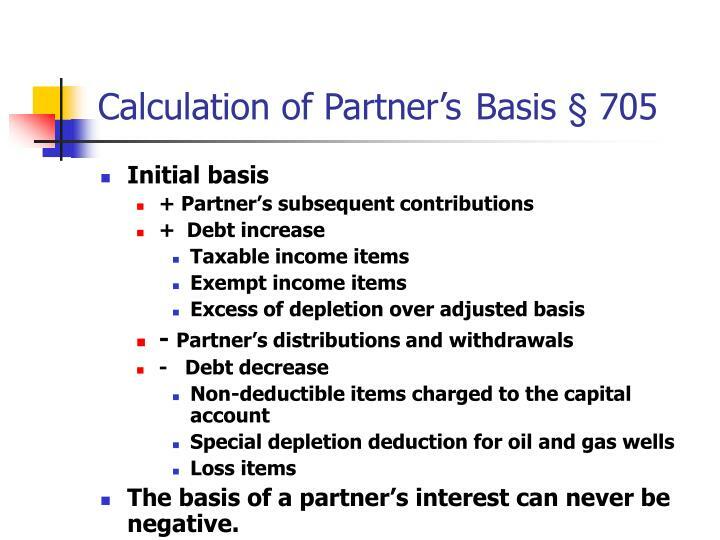 Partners have latitude to decide how income, deductions, losses and credits are to be allocated among the partners. Special allocations must show “substantial economic effect” (i.e. 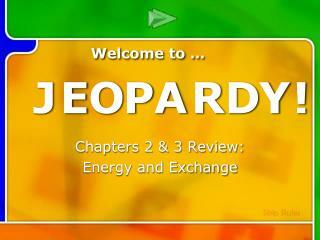 similar to GAAP accounting). 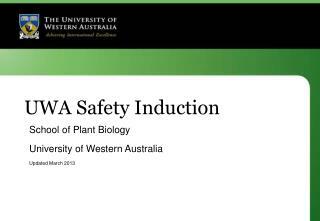 Particularly important in allocation of depreciation deductions and gain/loss for contributed property. 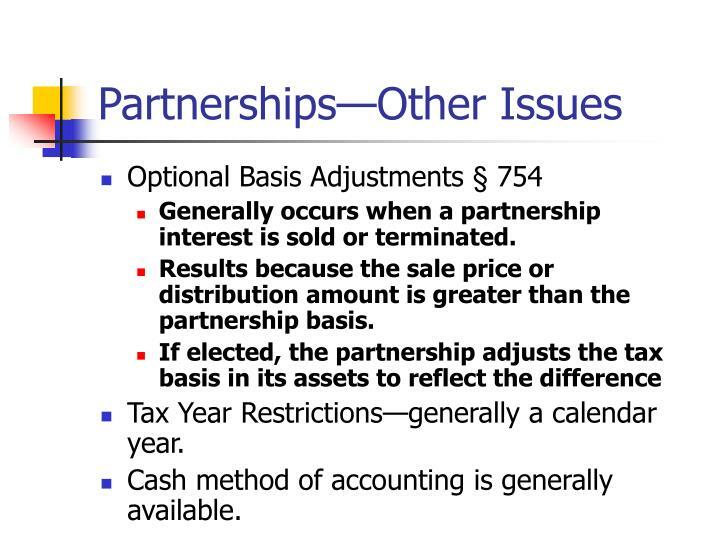 If any partner’s interest in the partnership changes during the year, all partners must determine their distributive share of income, deductions, losses & credits. The basis of a partner’s interest can never be negative. 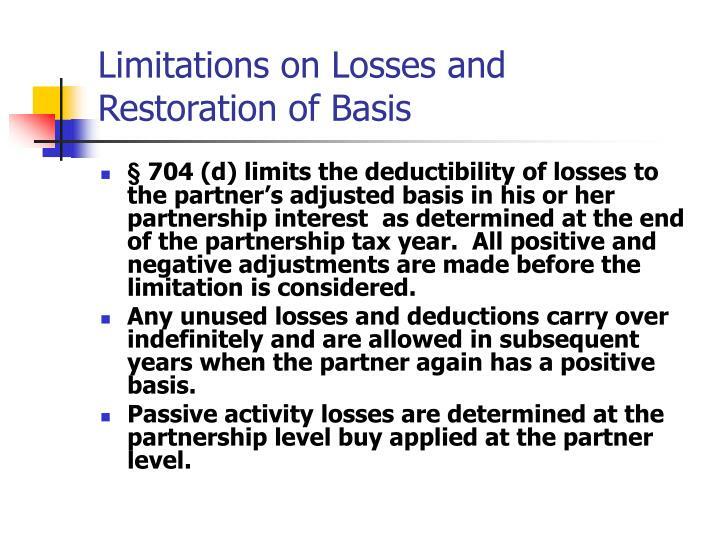 § 704 (d) limits the deductibility of losses to the partner’s adjusted basis in his or her partnership interest as determined at the end of the partnership tax year. All positive and negative adjustments are made before the limitation is considered. Any unused losses and deductions carry over indefinitely and are allowed in subsequent years when the partner again has a positive basis. 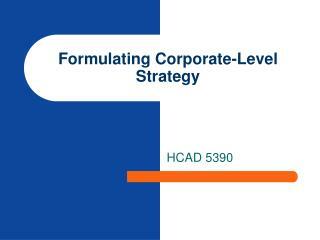 Passive activity losses are determined at the partnership level buy applied at the partner level. On sales or exchanges between a partner and the partnership if the partner owns more than a 50% interest in the partnership. 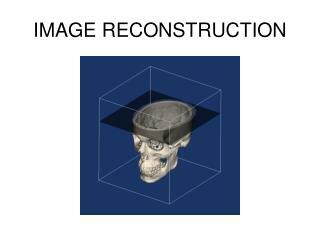 Review example 47. On sales or exchanges between two partnerships in which the same partners own more than a 50% interest. 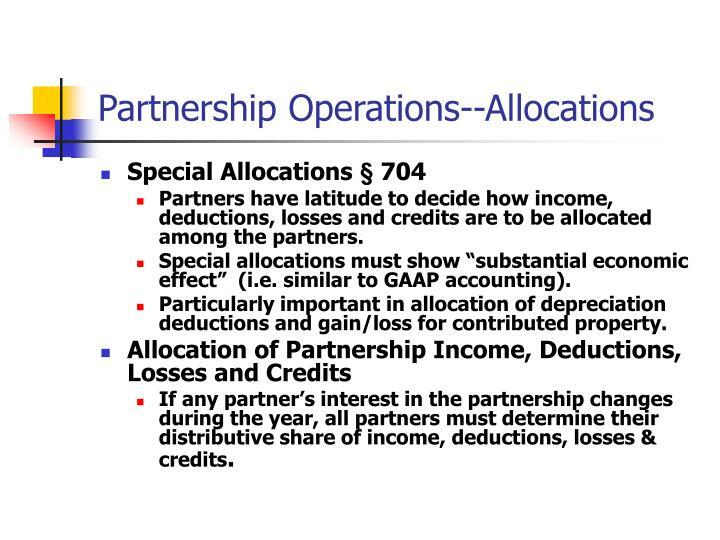 Partnership deducts fixed payments for salary and interest to arrive at ordinary income. 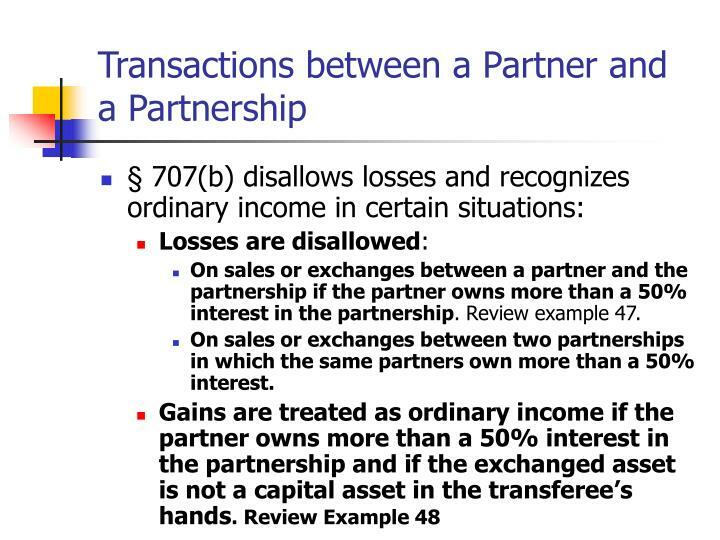 Generally no gain or loss to partner of partnership. 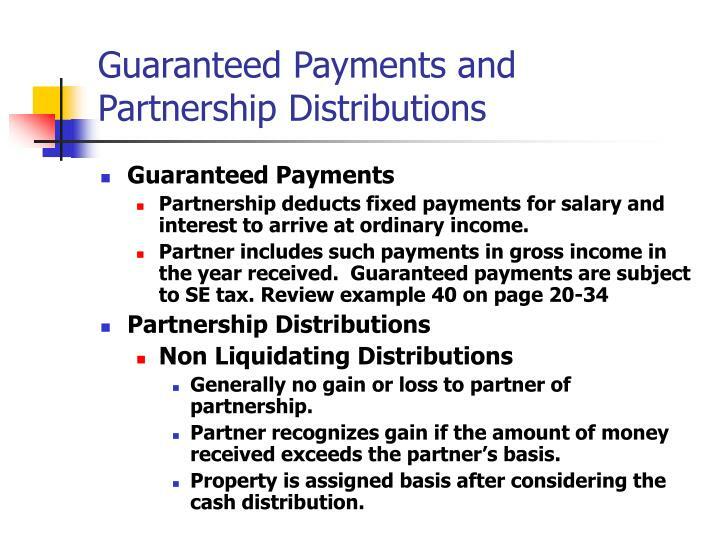 Partner recognizes gain if the amount of money received exceeds the partner’s basis. 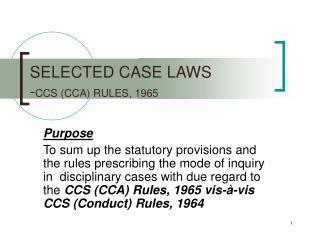 Property is assigned basis after considering the cash distribution. 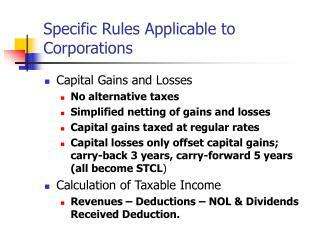 Generally results in capital gain or loss. 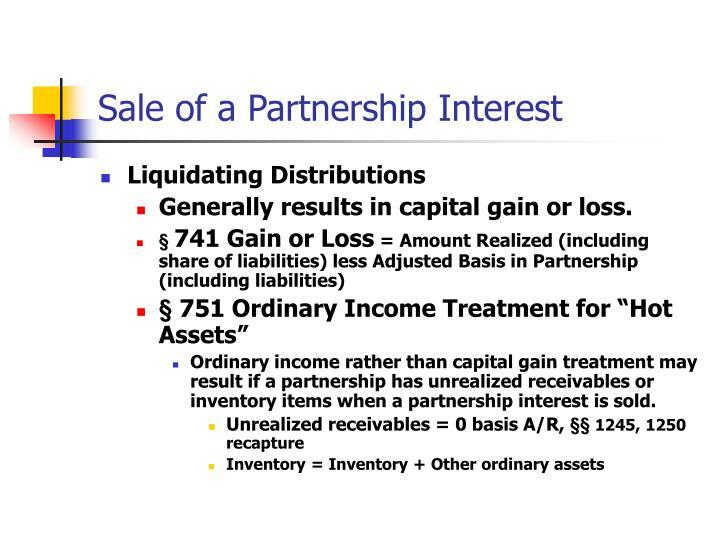 Ordinary income rather than capital gain treatment may result if a partnership has unrealized receivables or inventory items when a partnership interest is sold. Generally occurs when a partnership interest is sold or terminated. Results because the sale price or distribution amount is greater than the partnership basis. 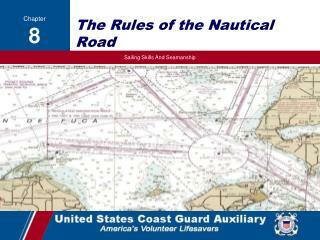 Tax Year Restrictions—generally a calendar year. 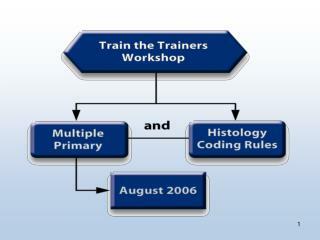 Cash method of accounting is generally available. 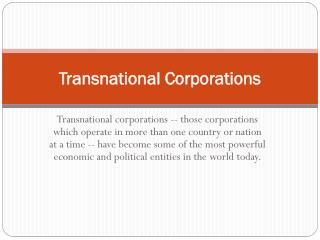 Transnational Corporations -. transnational corporations -- those corporations which operate in more than one country or nation at a time -- have become some of the most powerful economic and political entities in the world today.